Known as “The Hub of Pascack Valley”, Westwood is a small borough located in Bergen County, New Jersey. Home to nearly 11,000 residents, Westwood is a unique place where small-town living can still be found with the nearby convenience of New York City. There are many desirable family-friendly features of Westwood, including yearly farmer’s markets, local retail stores, and neighborhood celebrations. Whether you are a commuting professional or looking for a safe place to raise a family, the borough of Westwood has something for everyone! 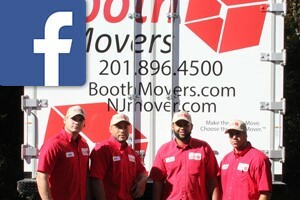 Since the 1940’s, Booth Movers has been offering the best in friendly Westwood moving services. From the beginning, the mission of our Westwood moving company has been to make each of our customers feel like a friend. With a BBB accreditation and a ProMover certification through the American Moving & Storage Association, you can trust our Westwood movers to handle all of your relocation needs! Whether you are planning a local move or are relocating across the country, our Westwood moving company has the experience and expertise to make it a seamless process! Booth Movers is a long-term agent for Atlas Van Lines, and our Westwood movers are connected with a global network of moving and storage professionals that work together to take the stress out of your moving experience. Residential Moving – For residential moves of any size, you can trust our Westwood moving company to efficiently handle all the details! Household Moving – From small apartment relocations to large family estates, there is no job too big or too small for our Westwood movers! Local Moving – When moving within Bergen County, you need to work with the Westwood moving company that knows the area best! Long-Distance Moving – Regardless of distance, Booth Movers can make your next move a seamless transition. Interstate Moving – Take the stress out of moving to a new state by letting our Westwood moving company guide you through the process! Full-Service Moving – From fine art and antiques to heavy furniture and appliances, our Westwood movers can haul it all! International Moving – Moving to a new country doesn’t have to be an overwhelming experience when you have Booth Movers on your side! If you are ready to find out more information on Booth Movers’ premier Westwood moving services, give us a call or fill out our simple online form to request your free, no-obligation estimate today!